Hello, readers. Once again we take a look back at the week to see who is In The Line Of Fire and The Ice Zone this time around. You would expect to see Barcelona recover from their El Clasico defeat last week. Strangely, they didn’t. They fell to a surprise 1-0 defeat at the hands of Celta Vigo at their own home thanks to a Joaquin Larrivey strike on the 55th minute. Even with the possession and more chances, Barca had failed to conjure up anything, with Neymar looking the most lively out of the players. As a result, they surrendered the top spot meekly to their bitter rivals Real Madrid, who had no such problems, winning 4-0 against Granada. What these two players have in common this week is that they both got sent off – which effectively cost their teams the match. 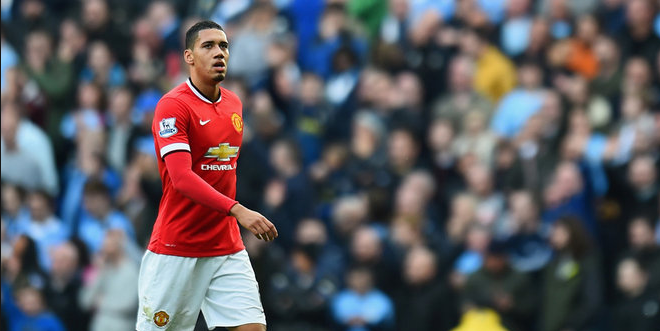 Smalling picked a yellow card for foolishly blocking Joe Hart when the City keeper was about to boot the ball. Then, Smalling went in for a tackle on James Milner that he had no hope of winning and yet, charged in regardless, earning a second yellow that spoiled the derby mood for United fans. For Benteke, whether he was provoked or not, what he did was madness. After tangling with numerous Spurs players for the ball, he went up to Ryan Mason and shoved his face, resulting in a straight red and a huge brawl between Villa and Spurs players. As a result, Spurs took advantage with Nacer Chadli and in-form striker Harry Kane scoring the winning goals to give a 2-1 victory for the away side and condemn Aston Villa to their sixth defeat in a row. 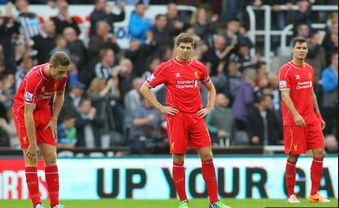 Liverpool has once again disappointed when they lost 1-0 to a resurgent Newcastle. Throughout the whole game, Liverpool looked very disconnected and couldn’t conjure up anything, resulting with only six attempts on goal with half of them on target. Newcastle, on the other hand, took advantage with promising attacks and their hard work paid off with substitute Ayoze Perez once again scoring the winning goal. Newcastle only looked decent in the game, but even that was enough to see off Liverpool. And Real Madrid waiting for them next in the Champions League didn’t make things any better. By the 70th minute with Johor leading 2-1 and Pahang having a man sent off, you would think it was written in the stars that the Malaysia Cup would go to Johor. Somehow, in some way, Pahang discovered some fight, and got the equalizer thanks to their striker, Dickson Nwakaeme, who also scored Pahang’s first goal. Luciano Figueroa and Jorge Pereyra Diaz, JDT’s goalscorers, should’ve put the game to bed, but their efforts hit the woodwork and Pahang made them pay for it when they won the penalty shootout 5-3 after Johor’s Norshahrul Idlan Talaha had his spot-kick saved by Pahang’s Khairul Azhan Khalid while Hafiz Kamal scored his, leading to Pahang retaining the title. Johor should’ve seized the chances that would’ve sealed the win for them. For a team with so many credentials and quality players, they once again faltered in the league at the hands of Bundesliga leaders, Bayern Munich, 2-1 that condemned Jurgen Klopp’s men to the relegation zone. Even though they can take out their frustrations on Galatasaray in the Champions League, it doesn’t help much with their league form, where they are now only second from bottom. City could breathe a huge sigh of relief when they won 1-0 against their hapless rivals Manchester United, considering they were on a four-game winless streak. Although City should’ve won at least one penalty, Sergio Aguero’s goal was enough to give them the three points and stave off a late fightback by their city rivals. However, you can’t help but feel that the scoreline should’ve been more emphatic in City’s favor. 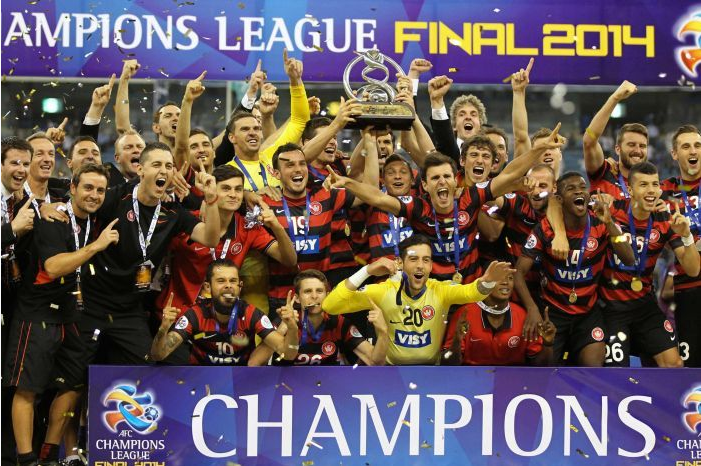 Last week, I wondered whether WSW would complete their fairytale campaign in the AFC Champions League considering they fell agonizingly close to the A-League title twice since being founded in 2012. But thankfully for them, they managed to fulfill their destiny when they held off an onslaught from Saudi Arabia’s Al-Hilal to a goalless draw, which was enough to seal the ACL trophy, winning 1-0 on aggregate. What a story with a happily-ever after ending. Perhaps sacking Robin Dutt was the ideal solution after all for Bremen. With new manager, Viktor Skrypnyk, taking the reins of a club that was going downhill, they finally picked up their first victory of the season with a 2-1 victory over Mainz thanks to a brace from ex-Chelsea striker Franco Di Santo. However. they are back at the bottom-placed table thanks to Freiburg’s victory, also their first of the season, against Cologne, 1-0 that closes the gap between safety and relegation. With the gap narrowed between 14th placed Hamburg and last-placed Bremen to two points, it’s the ideal time for both teams to take charge and start climbing up the table. What a week for AFC Bournemouth. Last week, they thrashed sorry Birmingham City 8-0. And they continued the momentum with a victory over West Brom that sealed a place in the Capital One Cup Quarter-Final and a date with Liverpool at their own home along with an entertaining 3-2 victory over Brighton that puts them on 2nd place in the Championship and their name in the mix for promotion, just two points behind leaders, Watford. Tags: AFC Bournemouth, Barcelona, Borussia Dortmund, Chris Smalling, Christian Benteke, Freiburg, In The Line of Fire, Johor Darul Takzim, Liverpool, manchester city, Soccer, The Ice Zone, Werder Bremen, Western Sydney Wanderers. Bookmark the permalink.